Most of the attention-grabbing headlines around the grocery supply chain have to do with Amazon, Whole Foods, and the future of grocery delivery to the home. It’s a tricky model to get right, and even Amazon hasn’t quite managed to make home grocery delivery safe, profitable, and attractive for the general public. Yet, in spite of the headlines, there are greater challenges ahead for the grocery supply chain than figuring out home delivery. Fueled by new regulations, transportation capacity cuts, and a truck driver shortage, transportation costs are increasing for supply chains. Most Food Safety Modernization Act (FSMA) compliance dates have passed, and these new guidelines are complicating the grocery supply chain. Grocery stores depend upon volume to make money and higher costs or extra steps in the supply chain can narrow already thin profit margins out of existence. Optimizing the grocery supply chain by reducing product damage in transportation, preventing contamination of food in storage and transit, and using data tracking and modeling can create efficiencies that reduce your Total Cost of Business (TCOB) and protect profits in challenging times. Temperature Lapses: Foods like meat or shell eggs can become unsafe for consumers if they rise above a certain temperature. If the temperature has lapsed at any point during transportation, then these products can be rejected. In fact, if monitoring lapsed or if someone forgot to sign off on a periodic check, this alone can be grounds for rejecting a load. Damaged Packaging: Packaging prevents food from coming into contact with moisture, airborne bacteria, and contaminants. If the packaging is damaged—even if it’s the exterior carton—then the product can be rejected. In some product categories, such as beverages, it’s possible for damage to a single carton to ruin an entire load due to spillage. Visual Abnormalities: If products arrive at a retailer showing visible stains or discoloration, then the products may be rejected due to concerns of contamination. The discoloration might be due to spilled product, chemical contamination, or the growth of mold or fungi, all of which render food unfit for consumption. Signs of Pests: Supply chain storage facilities and transportation vehicles can host common warehouse pests. Signs of rodents or insects in the product or on pallets is grounds for the immediate rejection of a load. Unacceptable Pallets: Worn out or broken pallets often have protruding nails and splinters that can damage product packaging. They can also cause foreign object contamination by leaving wood fragments behind in products. 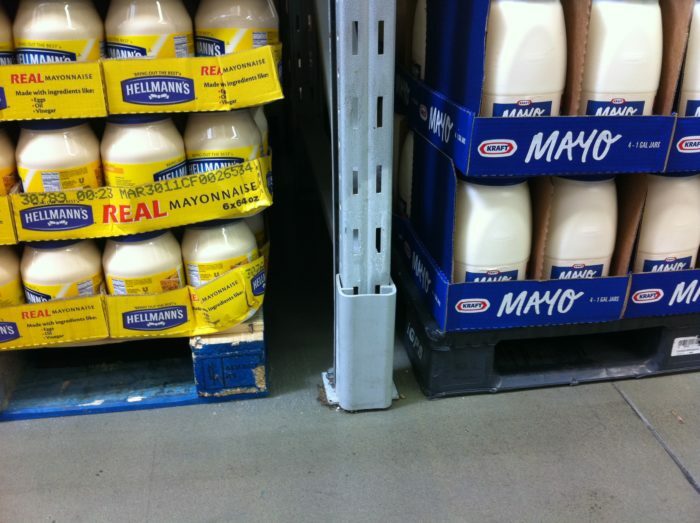 Even if the product load appears to be undamaged, some grocery retailers will reject loads if the pallets used do not conform to their internal standards. Outbreaks of illness are cause for a recall, which on average costs a company around $10 million. In the situations above, a rejected load is often the best case scenario. A load that falls into any of the above categories has the potential to cause illness in the consumer. Outbreaks of illness are cause for a recall, which on average costs a company around $10 million. This figure doesn’t take into account lost sales or reputation damage. Moreover, if quality controls are found to be wanting, the Food and Drug Administration (FDA) or the United States Department of Agriculture (USDA) may levy stiff fines on the responsible party, and if there is evidence that the groceries were shipped with knowledge of the contaminant or that controls were inadequate, legal action can be taken against the responsible parties. Reducing product damage is often a matter of taking a few common-sense steps. Employee Training: Product damage is frequently caused by a lack of awareness. A common warehouse pest, for instance, might go unidentified because employees weren’t familiar with the pest. The same problem can contribute to temperature lapses, incorrectly packed pallets, and product damage caused by failing pallets. Training employees and periodically updating their training will improve process controls and reduce instances of damage. Maintenance and Inspection: Regularly inspecting facilities and the equipment used in them helps prevent product losses due to equipment failure. While heavy machinery like fork trucks and palletizers are routinely inspected, the same isn’t always true of ancillary equipment like pallets and cartons. Instituting strict inspection guidelines for all your equipment helps ensure that it meets standards before use. Improving Technology: Information technology has already vastly improved the productivity and efficiency of supply chain management. However, supply chains have lagged behind when it comes to making use of new materials. Lightweight alternative materials for pallets and packaging make them safer and lighter while creating efficiencies like energy and fuel cost savings. A simple periodic review of operational practices and procedures across the supply chain can yield great dividends when the information is used to assist in the application of new technologies. While cost analysis is often emphasized, the review of granular operational aspects of the supply chain is a frequently overlooked part of optimizing the grocery supply chain. Data capture is becoming increasingly easy to implement. Focusing on costs instead of operational actions, sources, and procedures also has implications for food safety. One of the unsettling revelations of the European horse meat scandal of 2013 was that many retailers couldn’t identify the original source of their products. However, data capture is becoming increasingly easy to implement, and it promises to enable more accurate tracking of products through the supply chain. Radio frequency identification (RFID) dates all the way back to World War II, but the modern system uses a small RFID chip that contains an ID number linked to information on the internet. Supply chains equipped with this technology can track products as they move through the supply chain. 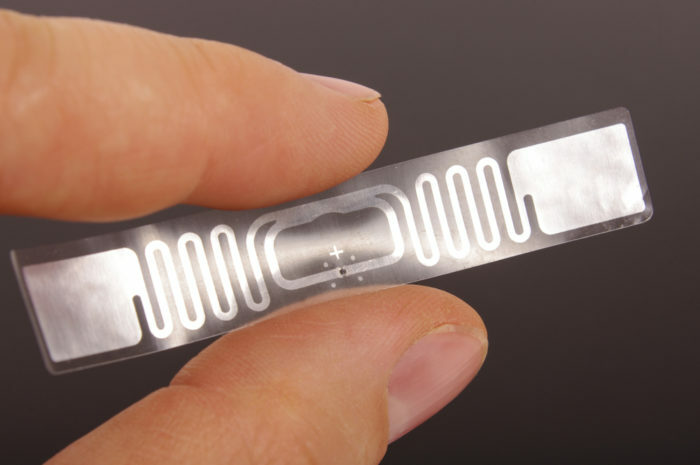 If implemented widely throughout a supply chain, RFID could potentially be used to quickly track the origins of unsafe or adulterated goods and could allow for a targeted recall of affected goods that would cost less and create less concern. RFID tracking-enabled plastic shipping pallets offer a solution for tracking loads at the unit level. Data capture of this type can also be used to create a detailed analysis of the grocery supply chain. Using data captured through RFID, inefficiencies can be highlighted and procedures can be implemented to address them. However, placing an RFID chip on individual packaged products isn’t cost effective. RFID tracking-enabled plastic shipping pallets, on the other hand, offer a solution for tracking loads at the unit level. Unlike wood pallets, which have a short lifespan, plastic pallets can endure as many as a hundred trips through the supply chain, making it cost-effective to equip these pallets with RFID chips. Grocery producers and retailers using these pallets can then draw on the data they receive to better optimize their supply chain. In addition to being RFID-enabled, high-quality plastic pallets are less likely than wood pallets to cause product damage, leave behind debris, become moldy or mildewed, or be rejected by retailers. Switching to RFID-equipped plastic pallets is a simple choice that can open up multiple avenues for optimizing the grocery supply chain. The iGPS pallet pool offers a durable plastic pallet equipped with RFID chips that comply with GS1 standards. To begin the intelligent transformation of your supply chain, give our team a call at 1-800-884-0225, email a specialist at switch@igps.net, or visit our contact page.